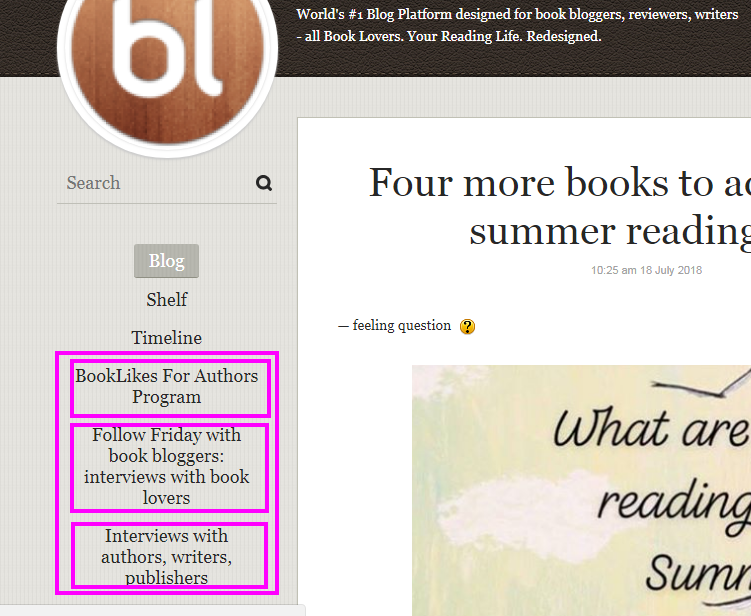 BookLikes is a blog platform for all book lover. Thais means that when you register you set up your own book blog with an endless virtual bookshelf (YAY!). 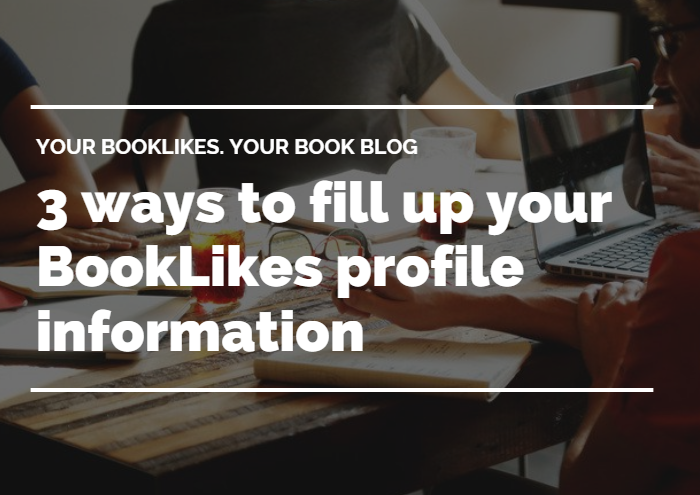 Here are three places to add your details in order to fill up your BookLikes profile information and to present yourself to other readers and bloggers. When you log into BookLikes you see Dashboard -- your feed, a place where you see the blogs' reviews and bookshelf updates. Remember that in order to add a blog to your Dashboard you should start following the blogs! If you're looking for new blogs to follow, go to the Explore page (menu->Explore), click the blog name and click FOLLOW in the upper right corner. 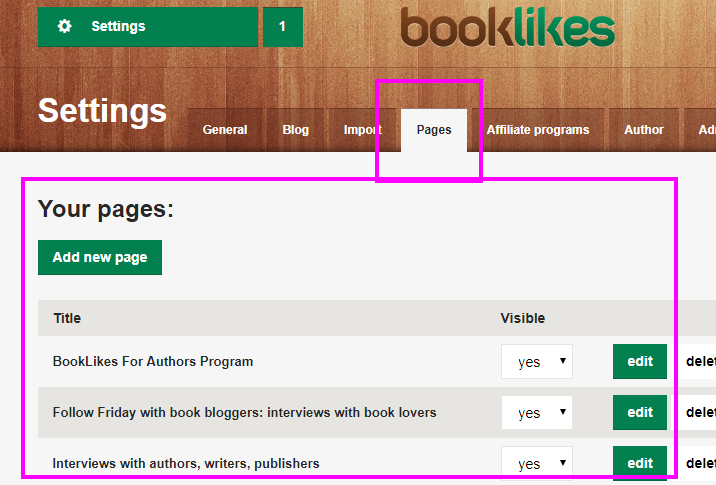 Remember that all your actions done in your Settings and in your Dashboard view will be presented on your blog page (your account on BookLikes IS your BOOK BLOG). The Dashboard view is internal and will always stay the same. 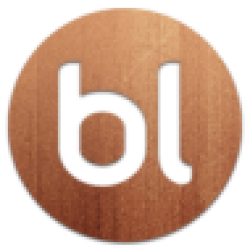 Your blog page on BookLikes is: yourusername.booklikes.com. As you can see, each Settings tab let's you fill up your personal information. Make sure to click Save once you add new information. 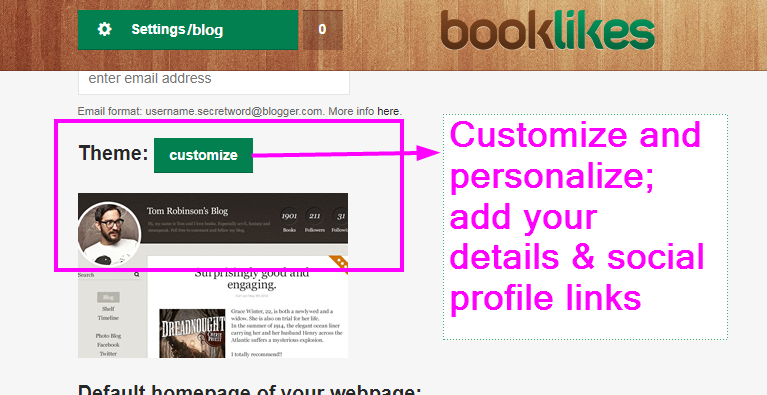 Your book blog needs personalization. 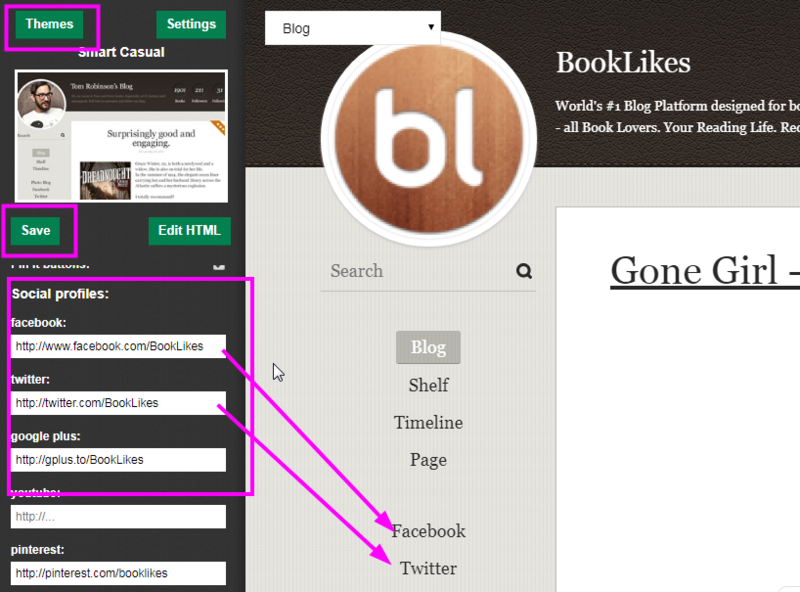 Make sure to visit the Customization tab to select a blog's layout and add your social profile links. 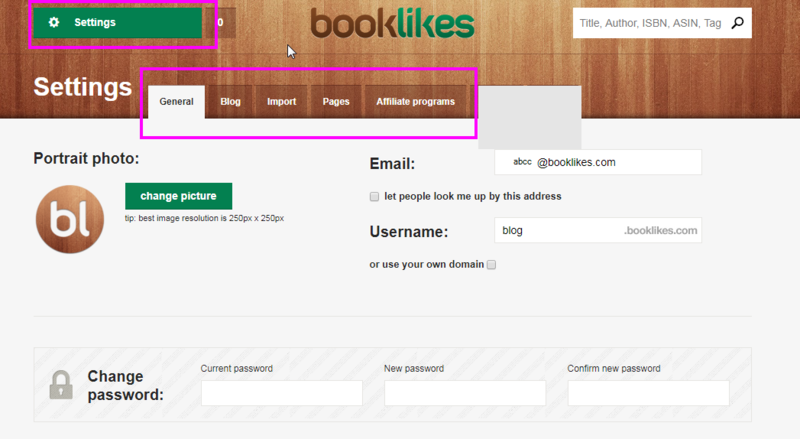 To enter the Customization tab view, go to Settings/Blog, scroll down and click Customize. Here you are! Add your short bio, your social profile links and widgets. You can also select a new blog theme and customize the color and layout. 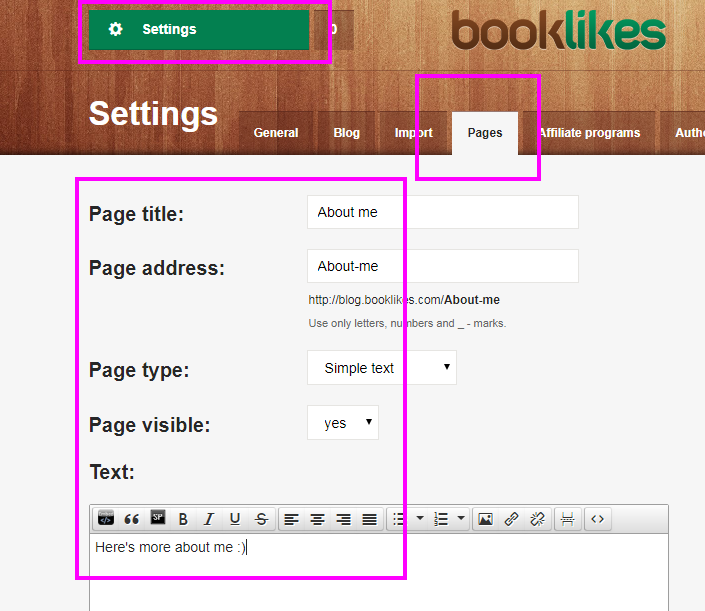 Remember to Save all the changes and check how your blog looks like (your blog is at yourusername.booklikes.com). If you prefer to add a new sub-page with your longer bio, you can do it in Settings/Pages. 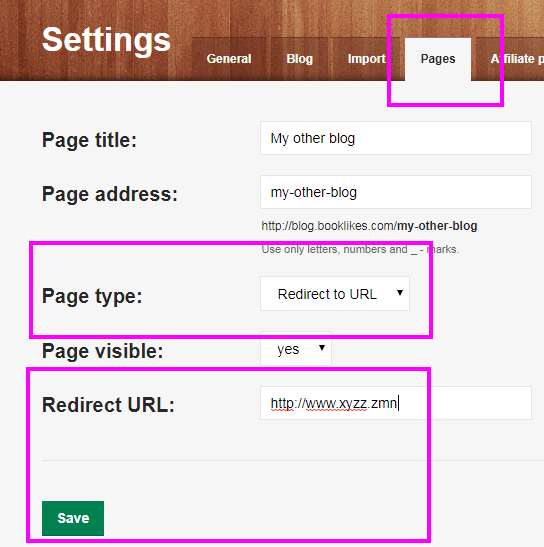 If you wish to add links, to your other webpages, you can also do it in Settings/Pages. - It's time for a reading challenge!